Similar to Data Science, Big Data is another space which I am looking to learn better in 2019. There are a lot of tools, technology, frameworks, and libraries exists in the Big Data space but I have chosen the one which is closer to Java community e.g. Apache Hadoop. Apache Spark and Apache Kafka. Since Big Data is not limited to Java, I have also included a free Scala course on Apache Spark. Just in case if you are a Scala developer or learning Scala to become a Polyglot programmer, which itself is a very good idea. Btw, if you are new here then you may want to check out some more free courses on Java, Spring, Linux, Python, SQL, Angular, React, Oracle, Eclipse, Maven, and several other Java and related technologies. Also, If you are serious about learning Big Data and don't mind spending a few bucks on good learning resources then you can also check out The Ultimate Hands-On Hadoop - Tame your Big Data! by Frank Kane on Udemy. This is one of the best and most comprehensive online course to learn Big Data and Hadoop at this moment. Without wasting any more of your time, here is my list of some of the best free online courses to learn Big Data and Hadoop in 2019. It also includes courses on Apache Spark, another exciting Big Data framework which works well with Java, Scala, and Python. 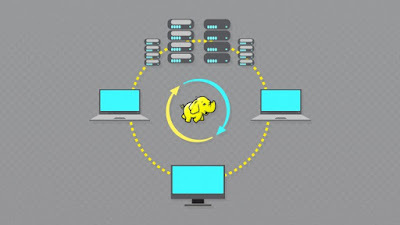 If you don't know, Apache Hadoop is the leading Big Data framework which provides utilities that facilitated using multiple computers to solve problems involving massive data e.g. Google Search. It's based on Map Reduce pattern i.e. you can divide a Big Problem into several small ones and then combine the result from each node to produce the final result. This is a great course to learn Hadoop. It explains all core concepts of Hadoop in fun and easy way e.g. HDFS, Map Reduce, Apache Pig and Hive etc. If you are passionate about Big Data and Hadoop then this is a great course to start with. It's free and you also get access to a multi-node Hadoop training cluster to practice along the course. You will also learn to calculate the maximum closing price for stock symbols from a stock dataset using Apache Pig and Hive. 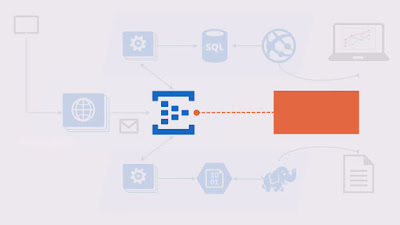 Overall, a fantastic, hands-on course to learn Hadoop. If you are thinking to learn Apache Spark, another great Big Data framework which provides better throughput than Hadoop in many cases with Scala Programming language then this is a great course to start with. In this course, you will learn how to set up your development environment for building Spark application using Scala with IntelliJIDEA. It comes with a Scala plugin which makes developing Scala application really easy. You will also run how to integrate Spark within IntelliJ IDEA. Even if you are new to Java and Scala world you can take this course because it will guide to step by step from installing Java, IntelliJIDEA to Apache Spark. In short, a good introductory course on Apache Spark with Scala Programming language. 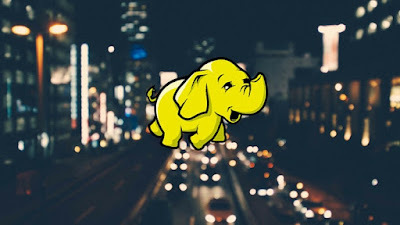 This is one of the most popular free Big Data and Hadoop course on Udemy with over 80,000 students already enrolled on it. This speaks volumes about the quality of the course. In this course, you will develop an understanding of Big Data Problems with some real-world examples. You will learn about Hadoop and understand why it is so powerful. 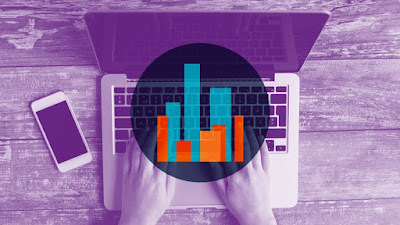 You will also understand the difference between Data Science and Big Data which is often confusing programmer while selecting a career path or understanding a job description. Even though this is a very short course, just 45 minutes long you will learn enough about Big Data and Hadoop to start your journey. I highly recommend this course before you can take any another course on BigData and Hadoop. One of the main challenges to start with Big Data development is setting your own development environment. Since Big Data is comprised of many open source technologies like Hadoop, Spark, Pig, Hive etc it becomes complex to get an end to end environment. This course will teach you how to set up a Big Data development environment on your personal computer or laptop using distributions like Cloudera or Hortonworks. Both Cloudera or Hortonworks provide virtual machine image which contains all Big Data Eco System tools pre-packed, which makes it easy to start learning and doing development. You will also learn to set up other necessary components such as MySQL database and log generation tool and review all essential concepts e.g. HDFS, Map Reduce, Pig, Hive, Spark etc. One of the mistakes many developers made while learning a new technology or programming language, including me, is directly going into details without understanding the Big Picture. If you know why something exists e.g. the problem then you will better understand the technology and how it solves the problem. This course is just for that. It will tell you about concepts, companies, and technologies that make up the whole Big Data world and help you to understand how you can adopt Big Data to solve your own business problem. The instructor Andrew Brust is ZDNet's Big Data correspondent and provides a different overview of Big Data then you will get from a Programmer or fellow developer. That's all about some of the free courses to learn Big Data technologies like Hadoop and Apache Spark. You can take these courses in the comfort of your office or home. You can also learn at your own pace, no need to rush or go anywhere. Btw, In Udemy a free course sometimes turns into a paid course, so make sure you check that before you join the course, but once you joined these courses, you will get lifelong access to them at free of cost. I generally joined the course to get it free once it's available even if I don't have enough time to attend that fully. I can always go back and learn once I enroll in that course. If you are interested in these courses better to enroll now than later when they may not be free. Thanks a lot for reading this article so far. If you like these free Big Data courses then please share with your friends and colleagues. If you have any questions or feedback then please drop a note. P, S, - If you are serious about learning Big Data and don't mind spending few bucks on good learning resources then you can also check out The Ultimate Hands-On Hadoop - Tame your Big Data! by Frank Kane on Udemy. This is one of the best and most comprehensive online course to learn Big Data and Hadoop at this moment.